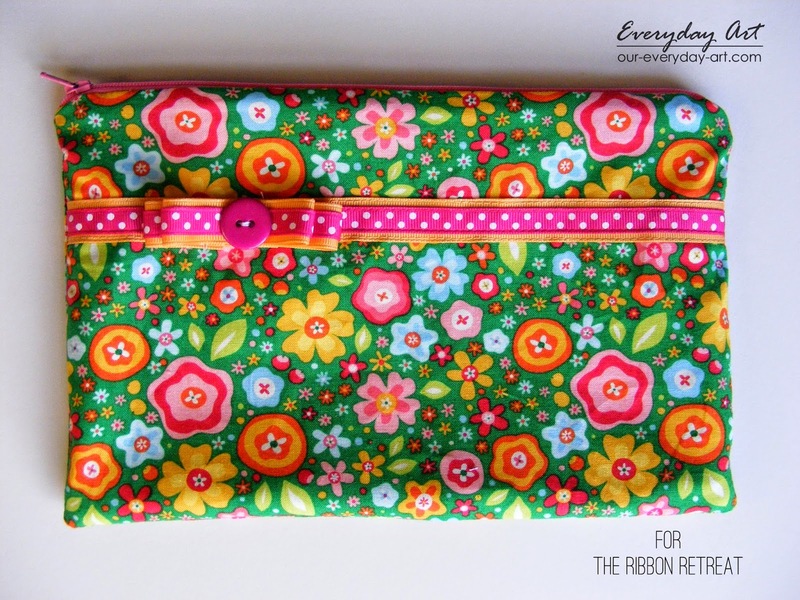 Everyday Art: 'Z' is for Zipper Pouch! 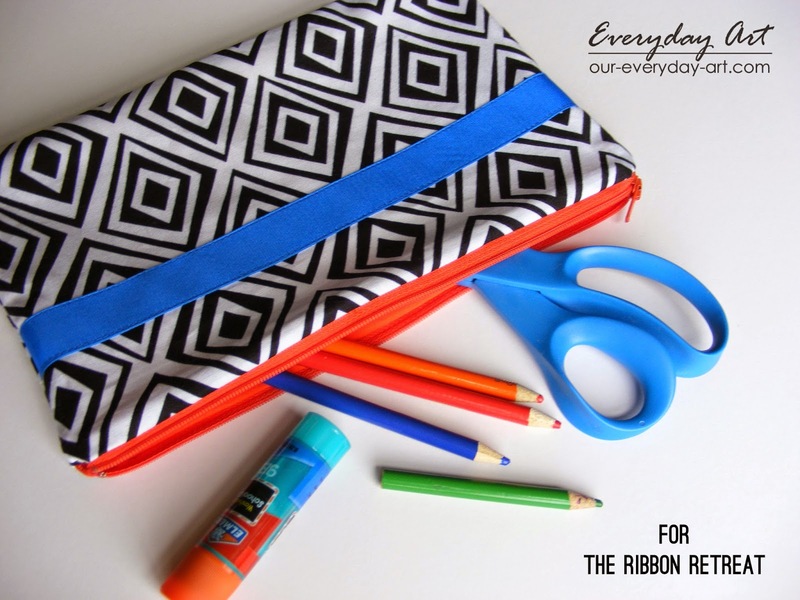 I recently Shared this post over at the Ribbon Retreat blog, (they did a fun back-to-school, a-z series) and figured I might as well share it with you too. 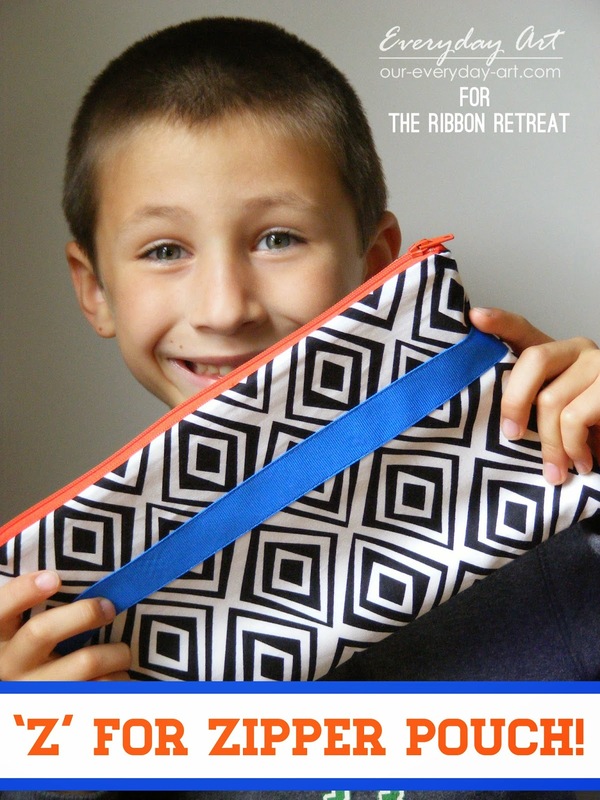 For this BOY version, I sewed a blue ribbon across one of the outside fabric pieces. 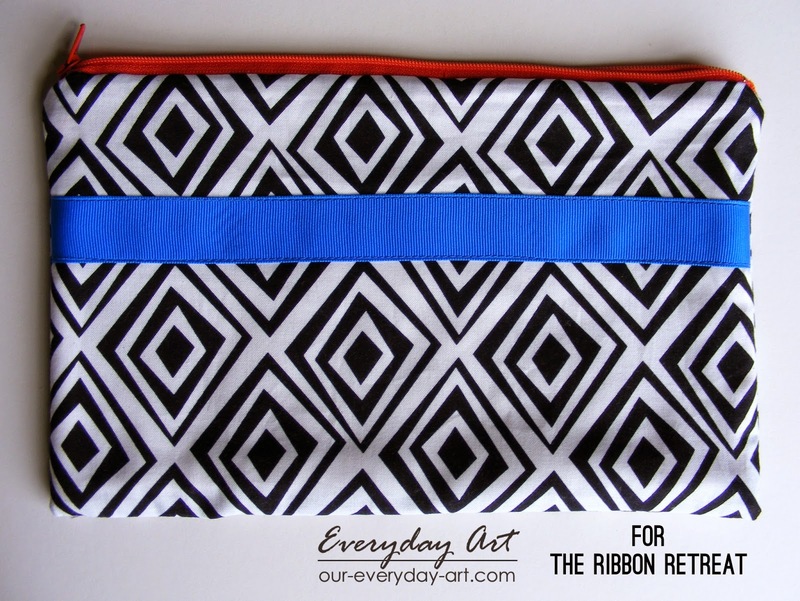 (Just lay on top and sew along both edges of the ribbon). 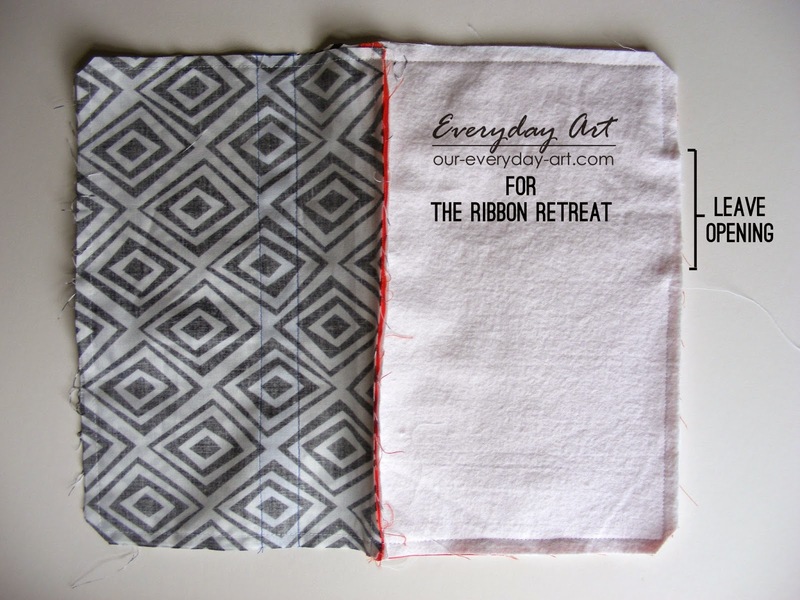 Fuse the interfacing to the inside fabric. 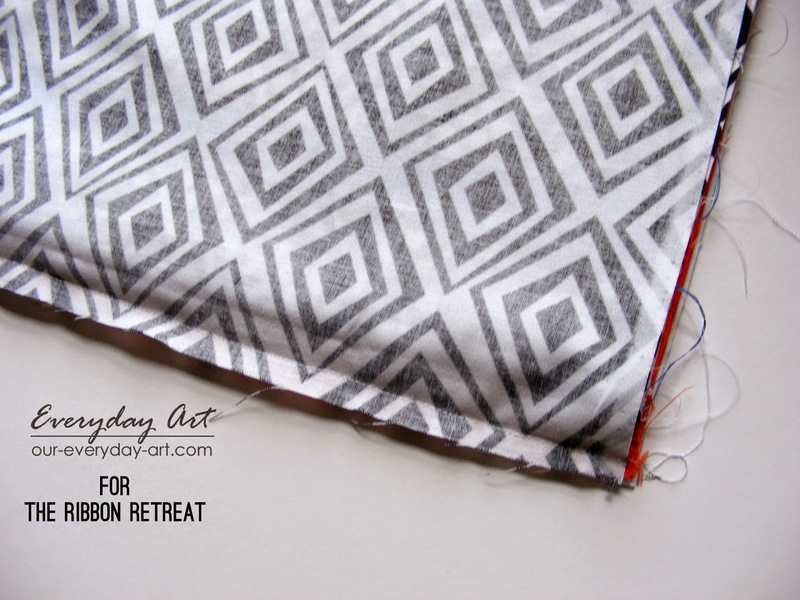 Layer your fabric. Inside fabric on the bottom facing up, zipper along top edge facing up, outside fabric facing down.With a zipper foot, sew along the top edge attaching one side of zipper. Repeat steps, layering and sewing other side of zipper to remaining fabric. Un-zip the zipper half way. 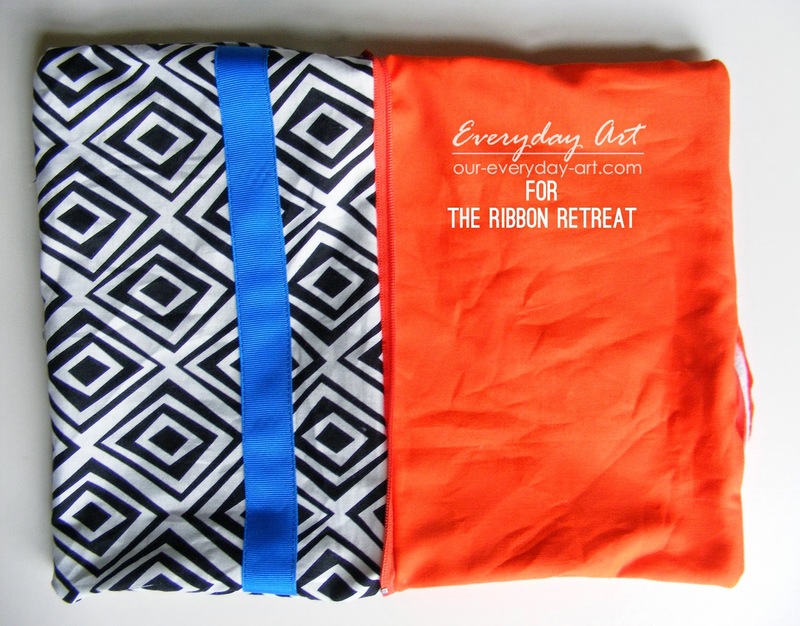 Now pin the front fabric pieces together and the back fabric pieces together. 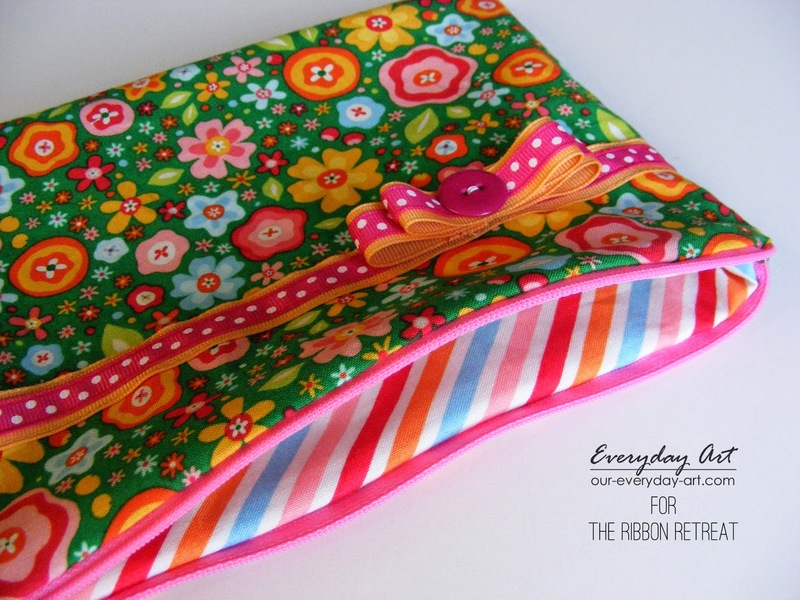 Sew along the outer edge all the way around, leaving a small opening. Turn the pouch right-side-out through the opening. Sew the opening closed. 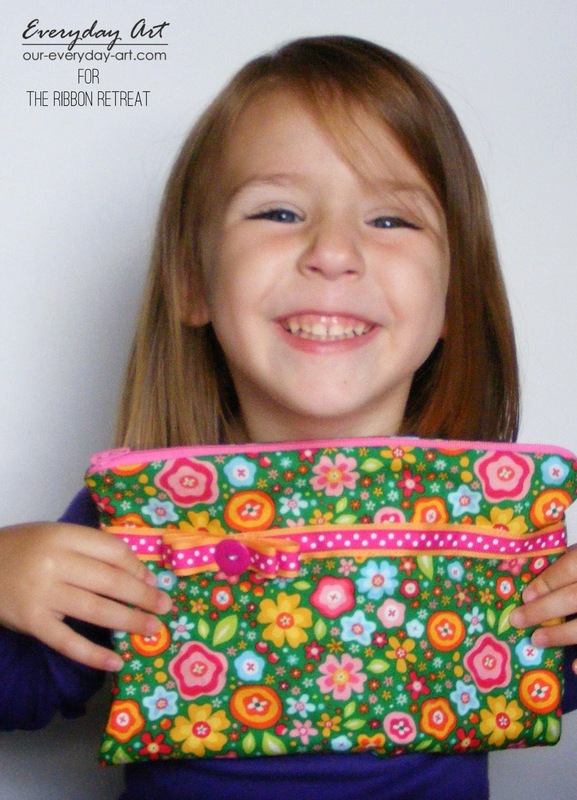 Push the inside fabric down inside to create the lining. Zip open and closed just for fun. And fill with all those wonderful school supplies!!! Now for a GIRL, you might need to dress it up a tiny bit more. 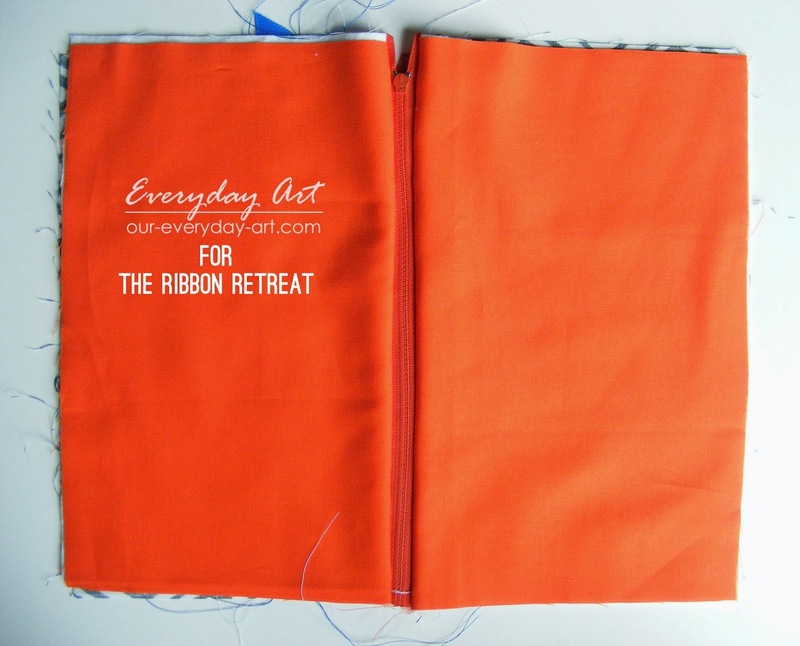 First sew one ribbon across the front of one of the outside panels. 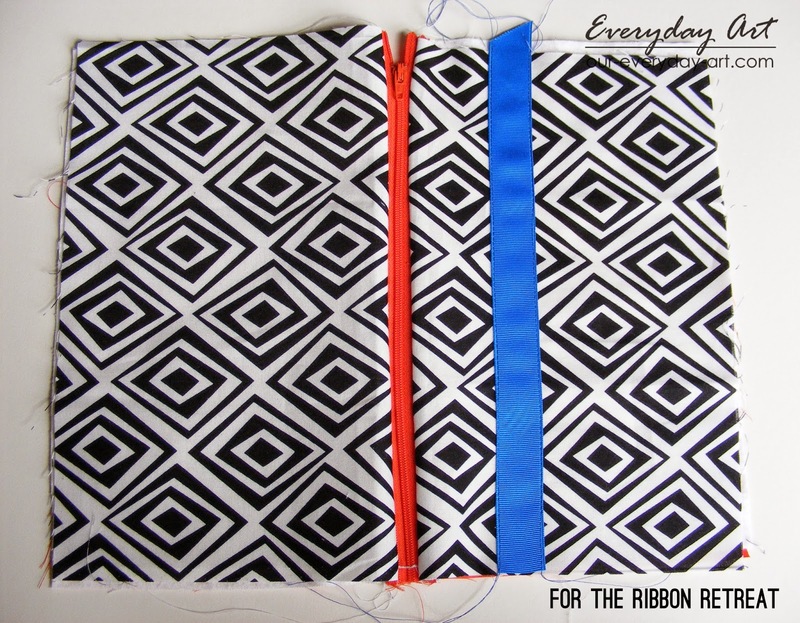 Then sew a narrow ribbon on top of the first. 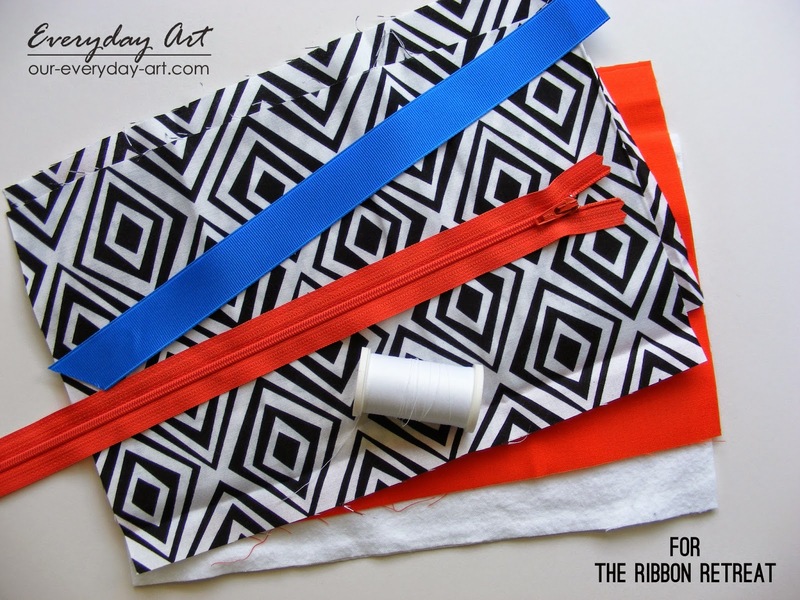 Make 2 circles of ribbon (the 2 ribbons layered), one a little larger than the other. 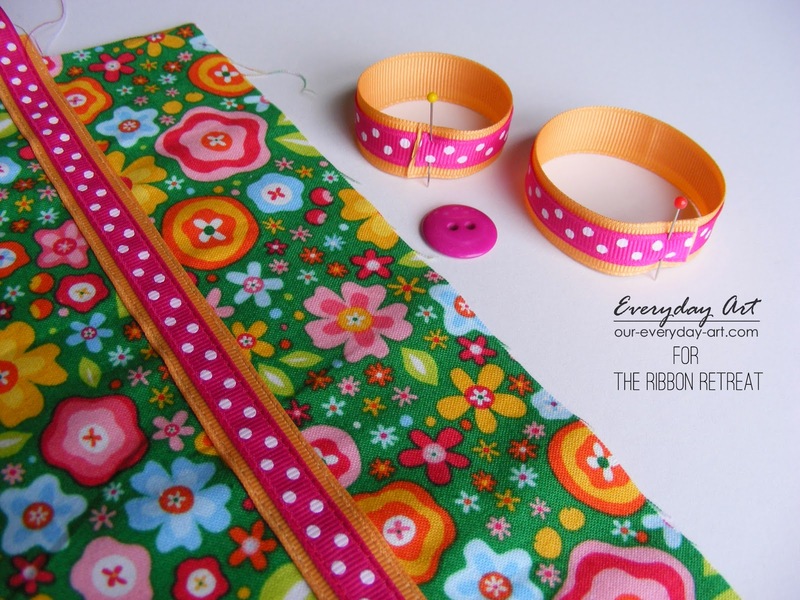 Sew the ends of each circle together. 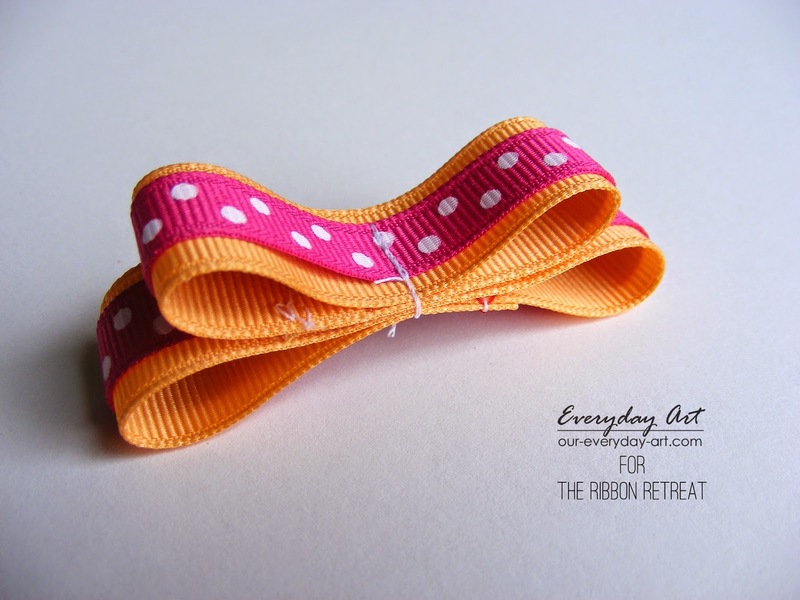 Pinch the circles together in the middle and stitch across the center, creating a bow. 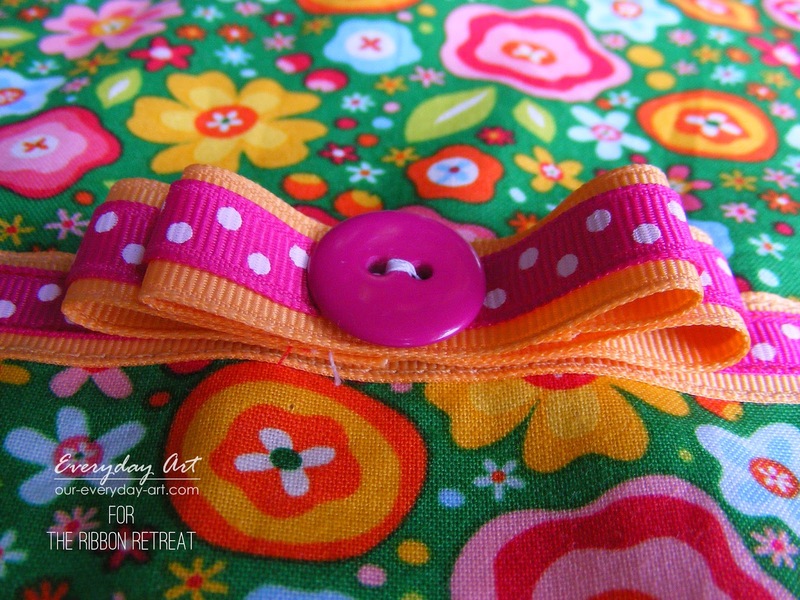 Stitch the bow to the front pannel along the ribbon and sew on a button. the chance to share our project with you! I am completely in awe. Not only is this incredibly creative, but it is also very chic. Well done!